I’ve written a book! It’s a quick read for the Kindle and it’s available for download here on Amazon.com. Inside Practice Hacks for Piano you will find succinct advice on topics such as finding the proper hand position, playing octave passages, and creating a full range of dynamics, to interpreting and memorizing music — this little book has a nugget of useful information on every page, much of which has been down from teacher to student for over a century. Written in short and concise sections, intermediate and advanced piano students and their teachers will find helpful and practical advice for getting the most from every practice session. This e-book includes tips on the following topics: Hand Position, Stretching, Scales, Chords, Octaves, Playing Fast, Dynamics, Fingers, Staccato and Legato, Memorizing Music, and Performance. I’d love to hear what you think! And if you like what you see please leave a review at Amazon. I sincerely appreciate it! Over the past few days there’s been a buzz on my Twitter and Facebook pages about Valentina Lisitsa and the streaming video of her practice sessions. I thought it kinda cute to let those of you who are curious – (or upsed at me not responding to messages on Youtube , Facebook etc LOL ) inside my practice studio.I am going to run live webcam for next 7 days-’till July 4th midnight to be exact. 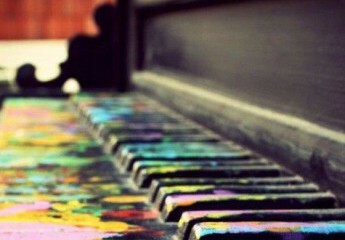 I will be working on my recital and concerto programs that I will have to perform next month. I have 55 pieces to work on!!!!!! If you have a chance I suggest you tune in at some point today. Great motivation to get you practicing! Dr. Seymour Papert, mathematician and co-founder of MIT’s Media Lab, coined the term “Grasshopper Minds” almost ten years ago referring to the short attention spans and quick parallel processing of what we now call Gen Y, Gen 2.0, or the Millennials. 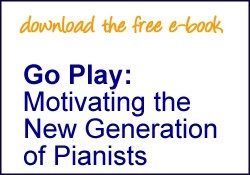 How has this new generation affected the way the old generation of piano teachers teach? Many have updated but simply incorporating Music Ace and midi technology in the music studio doesn’t seem to be the answer. And we definitely don’t need more Czerny exercises. Telling a student to simply practice is like speaking to them in a foreign language. However, today I discovered that Philip Johnston, of PracticeSpot.com has some timely advice in his book Practice Revolution.